Australians, now more than ever, have busy schedules. The pace of the modern world has many of us operating at full capacity, and recent communication innovations have meant many of us find it difficult to extract ourselves and relax. There are reasons why stress-related illnesses have risen sharply in recent years. One of the contributing factors to this decline in mental health has been attributed to a lack of sunlight. Over time, people evolved with daily exposure. We grew accustomed to it regulating our circadian rhythm and sleep cycles, among other body processes. Our modern lack of direct exposure has become a health issue today, when we are quite often limited to artificial lighting. At Solar Bright, we are committed to using solar power to shape customer health, both indirectly through the usage and popularization of solar power, and directly, through in-home applications. 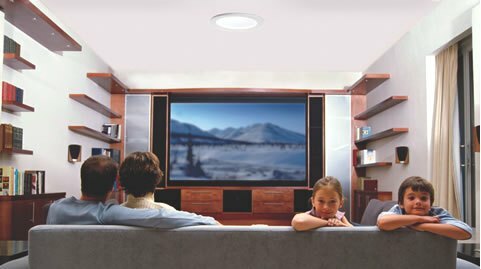 Our solar tubes, dome skylights and roof skylights allow an easy and suitable method to enjoy natural light in your own home, and reap the rewards of its numerous health benefits. This three-part series will take us through some of the advantages of safe and regulated exposure to natural sunlight. Endorphins are any one of a group of hormones released by your brain, with an analgesic effect upon your opiate receptors. Put plainly, they make you feel good. They are your body’s natural method of encouraging a behaviour or environment, and exposure to direct light causes a release of these little peptides. What does that do for us? It improves our mood. More than that, it improves our bodies’ ability to regulate our sleep cycle, meaning we are better rested. It can guard against Seasonal Affective Disorder, or SAD, a mood disorder directly related to the availability of daily sunlight. While daily sunlight exposure may seem a remarkably simple method of improving one’s health, the health effects are profound. Indeed, the notion of ‘solar power’ goes well beyond that of the solar panel. Part II will discuss further the chemical impacts of solar exposure, through your own solar tube, dome skylight, or roof skylight, and what it can do for your health.